We are merely hours away from the joint Samsung - AT&T event that's scheduled to take place between 4pm and 6pm in New York City today, so it's high time to look at the possibilities and speculate which mechanical goodies we may be treated to in the Big Apple. Truth be told, there are no leaks whatsoever about this event, but it's fair to say there are a few devices that look like genuine candidates to be demonstrated there. Take into account that the invitation says "the event will feature product demos and executive remarks", which hints more than one gadget may be showed-off during the event. One device that may be demonstrated during this event is the Samsung Infuse 4G. It has already received its FCC filing with AT&T's bands, while Walmart is set to offer it in May, hence it looks likely that we will see the official AT&T unveiling of the handset with monstrous 4.5-inch Super AMOLED Plus screen pretty soon - probably as soon as today. 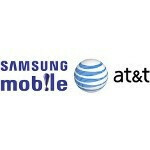 Another candidate that's likely to be announced for AT&T there is the Samsung Galaxy S II. A fact it is that there is practically no information about its availability on this side of the Atlantic - neither about the carriers that will offer it, nor about its release date. What's known, though, is that it got the nod from the feds with AT&T's frequencies, so, in all likelihood, we will see it for the carrier at some point in the future and this event looks like a fitting place for its AT&T announcement. Next in line is the Google Nexus S - for a long time there have been rumors that AT&T will get a taste of pure Google experience, not to mention that a white Google Nexus S with AT&T's bands is already available for purchase. Moreover, nothing federal is standing between this handset and the carrier, as the Nexus S already visited the FCC with AT&T's frequencies. Finally, there is a possibility that we may see a tablet, presumably the new, ultra-thin Samsung Galaxy Tab 8.9 and/or Samsung Galaxy Tab 10.1, though there is no firm evidence pointing in that direction. Mind that Samsung has announced another New York event that's to take place on May 24, but the difference is that on the later event the Korean manufacturer will be on its own. Make of this what you want, but if the Samsung Galaxy S II and the upcoming tablets by the manufacturer are to be made available to all US carriers - like Samsung did with the original Galaxy Tab and Galaxy S - then it's entirely possible that the May 24 event will be the place where its next-gen Galaxy gadgets will be announced for the rest of the US carrier - that's in case their availability details for AT&T are spilled today. This is a pure speculation, of course, so tell us your guesses - which is the device you hope to see announced at the Samsung - AT&T event? Our team will be on the spot to tell you everything as it happens, so stay tuned to PhoneArena. My prediction is the Samsung Infuse will start things off and then they'll finish with the Samsung Galaxy S II. The Tabs will be at the Samsung only event on the 24th, just makes more sense. Well hopefully its something good. I wanna dump my 2 year old iphone and still stay with att cuz it works in my area of los angeles so that's not a problem I just want something with a front facing camera and maybe a super amoled screen and att hspa+ support then I would be a happy girl. Isn't the infuse the AT&Ts model for the galaxy s II?